KRG a popular and quite rich Kenyan dancehall artists has teamed up with Redsan for his new project set to be dropped soon. 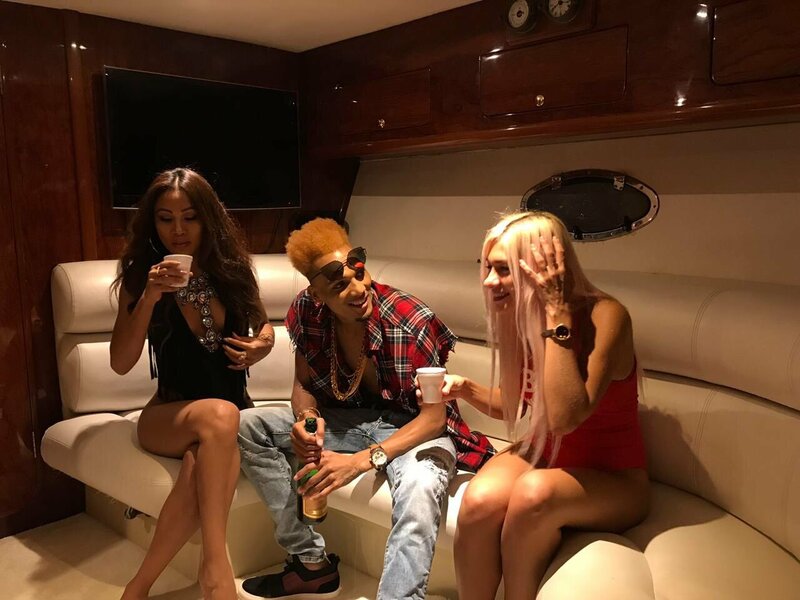 The two artists are said to have flown all the way to Dubai where they shot the video. Judging from the photos shared on their social media pages seems like the video is going to be quite interesting. Redsan and KRG did their best while picking out the video vixen who will give many a reason to watch the music video. In the past KRG we have heard fellow artists claiming that the dancehall singer is quite generous when it comes to making his videos. The artist does not only party at clubs where A list international party but is a man who values his wife. Sometime back he gifted his wife with a brand new car that left many talking.